Gylfi Sigurdsson is on the verge of completing his highly anticipated move from Swansea to Everton. Toffees boss Ronald Koeman announced at a press conference on Wednesday afternoon that the the 27-year-old Iceland international has passed his medical. 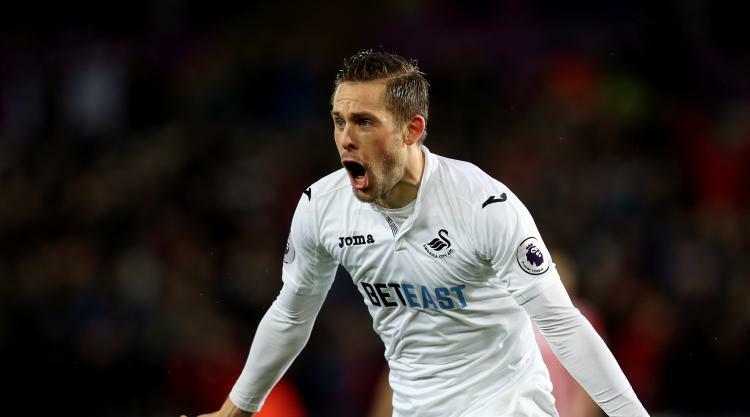 Sigurdsson’s proposed switch has dragged on for most of the summer with Swansea initially valuing their star man at £50million. But Everton are finally set to secure their number one target to take their summer spending to over £140million. “We worked a long time to get this deal in, he was one of the key players to bring in,” added Koeman. “We need players who will bring productivity to the team. Koeman has previously brought in Michael Keane, Davy Klaassen, Cuco Martina, Jordan Pickford, Sandro Ramirez and Wayne Rooney this summer as Everton look to improve on last season’s seventh-placed finish.